I in general don't prefer fisheye lenses, but those pics are amazing. Nice @beers, what kind of potato camera was that taken with? Darren and Geoff like this. 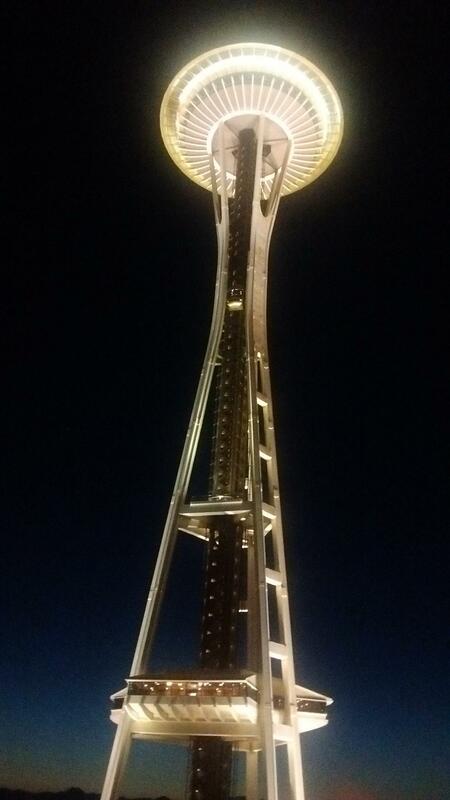 Love the Space Needle! Went up it when I went to visit Microsoft last year, it was amazing! Looking forward for some more cool images. omg, that's amazing. Where is it taken? Amazing pic, but the lightning feels very unreal, especially on the forest. Well if that's the case, it is unreal as technically it's not what you'd see with your naked eye. I bumped up the exposure a bit to bring out the fall colors in the trees. Yeah it's probably the saturation that makes it unreal. I know this is a moonlight shot so nothing looks real but it looks painty on the forest. That's nitpicking and you know I love natural looking pics so if you're happy with it that's the most important. Do you have an original I can look at to see if I'm wrong? Work basically took over my life, but still managed to find time to do photography here and there and I am in the process of ordering the Nikon D500. My latest project: A festive Nubble Lighthouse shines while Earth moves through the cosmos. Brendan Dardarian and Geoff like this.